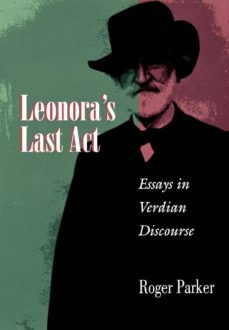 In these essays, Roger Parker brings a series of valuable insights to bear on Verdian analysis and criticism, and does so in a way that responds both to an opera-goers love of musical drama and to a scholars concern for recent critical trends. As he writes at one point: "opera challenges us by means of its brash impurity, its loose ends and excess of meaning, its superfluity of narrative secrets." Verdis works, many of which underwent drastic revisions over the years and which sometimes bore marks of an unusual collaboration between composer and librettist, illustrate in particular why it can sometimes be misleading to assign fixed meanings to an opera. Parker instead explores works like Rigoletto, Il trovatore, La forza del destino, and Falstaff from a variety of angles, and addresses such contentious topics as the composers involvement with Italian politics, the possibilities of an "authentic" staging of his work, and the advantages and pitfalls of analyzing his operas according to terms that his contemporaries might have understood.Parker takes into account many of the interdisciplinary influences currently engaging musicologists, in particular narrative and feminist theory. But he also demonstrates that close attention to the documentary evidence--especially that offered by autograph scores--can stimulate equal interpretive activity. This book serves as a model of research and critical thinking about opera, while nevertheless retaining a deep respect for operas continuing power to touch generations of listeners.